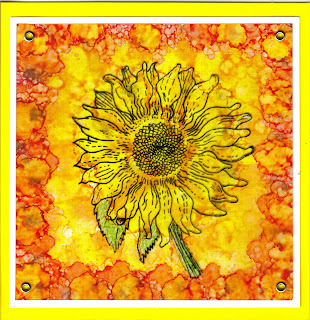 Lynnda at Oak House Studio is hosting another ONE STAMP WEEKEND - 24hrs of crafting with just the SUNFLOWER stamp - to show you just how many different ways one stamp can be used. Please visit Oak House Studio and the INKSPIRED group on facebook for inspiration throughout the day. This is a card I've shown before but I love the effect. 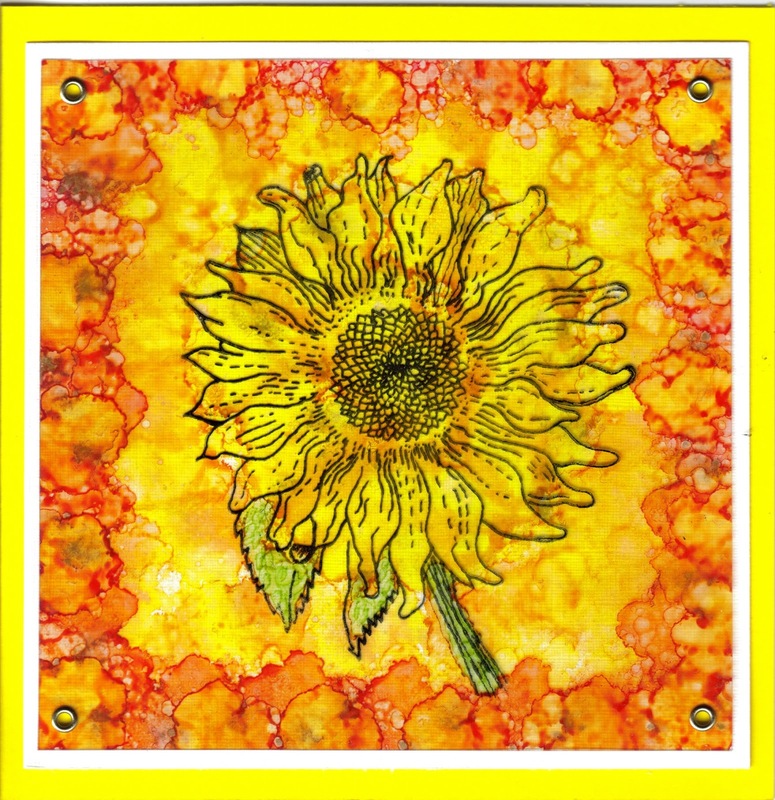 The Large Sunflower is stamped with Jet Black Stazon on acetate and then painted with Alcohol Inks - reds, oranges, gold etc. A great bright start to the day - keep popping back over the weekend as I have a few other projects lined up. Bye for now! !